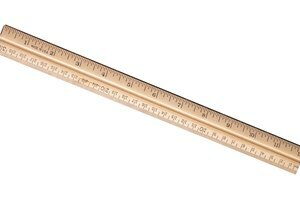 Many recipes, especially baking recipes, require very specific measurements. 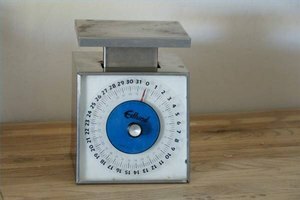 If your kitchen is not equipped with a food scale, you can still measure ingredients with precision. Using foods that are already weighed to serve as a benchmark for other foods is a good way to quantify small quantities of many different ingredients. Many pantry staples come in premeasured packages in a variety of different weights. Finding lighter preweighed packages may be harder, but foods weighing a pound or more are relatively easy to find. Determine the weight of the ingredient you need to measure. For recipes that allow you some flexibility, round the needed weight to the nearest quarter-pound. For example, 1 1/3 lbs. of sausage is very close to 1 1/4 lbs., which is easier to measure. Identify which of your pantry items is closest in weight to the amount specified in the recipe. Cans are often useful premeasured weights because they are left unopened until used in their entirety. For larger amounts, use bags of rice, sugar or flour that come in 1-, 5- and 10-lb. bags. Pour some of the ingredient you would like to measure into a plastic bag. Using your two hands, estimate how closely the weight of the needed ingredient matches the known weight of the pantry staple. Try to get the two weights as close as possible by adding or subtracting the ingredient in the plastic bag. Set aside the newly measured ingredient. For recipes that use several similarly weighted items, it may be easier to weigh another ingredient to the weight of the newly measured ingredient. By doing so you can keep the estimated weights skewed in the same way and the ratio of ingredients you measure will remain similar. For items like meat, it may be easier to use a visual guide to estimate amounts. For example, a portion of ground beef the size of a deck of cards is roughly 1/4 lb. For smaller weight measurement be creative: some produce, like sugar snap peas, come prepackaged in 2- or 3-oz. increments. If you are trying to measure a liquid, it may be less messy to use a plastic container covered in plastic wrap rather than a plastic bag. Keep in mind that the container will add a few ounces of weight to the ingredient you are trying to measure.